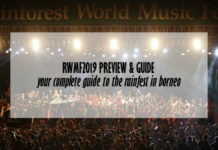 KUCHING – There would be free shuttle bus service to the Rainforest World Music Festival 2018. 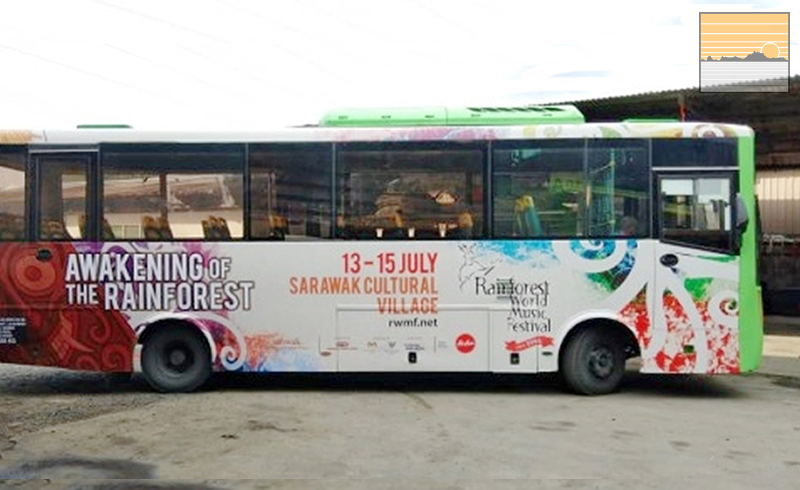 The free shuttle bus service to the Rainforest World Music Festival 2018 would be provided from both the pick-up and drop-off check points in the city and the Sarawak Cultural Village. This was announced by the Sarawak Tourism Board (STB) via their RWMF website. 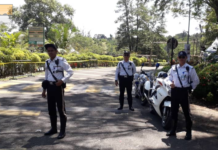 The shuttle bus service pick-up points would start at the Hills Shopping Mall before proceeding to the Riverside Majestic Hotel Astana Wing, Harbour View Hotel and finally Merdeka Palace and Suites. After the stop at Merdeka Palace and Suites, the bus will head straight to the Sarawak Cultural Village which is the venue of the Rainforest World Music Festival 2018. All buses from the city head directly to its drop off point at the Sarawak Cultural Village. There is only one pick-up point from the festival, which is the Sarawak Cultural Village. 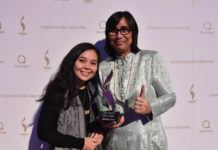 Drop off points for buses from the Sarawak Cultural Village will be the Merdeka Palace and Suites, followed by Harbour View Hotel, Riverside Majestic Hotel Astana Wing, and finally the Hills Shopping Mall. To enjoy the free shuttle bus service to the Rainforest World Music Festival 2018, festival goers will need to show their tickets before boarding the bus. The bus service would be available almost every hour. Festival goers are encouraged to plan their journey, particularly during peak hours which would be before the night concerts. Traffic jam is expected from 10PM to 1AM from the festival grounds. For those driving up to Santubong, van shuttle service from Santubong check point is charged at RM7 for adults and RM4 for children.